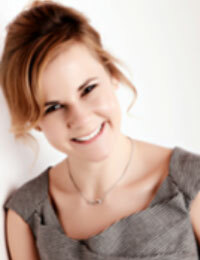 Dr Helen Petersen is a Senior Lecturer and Consultant in Oral Surgery at Manchester University NHS Foundation Trust. Dr Petersen divides her time between clinical research, teaching undergraduate and post graduate students, and treating adult and paediatric patients under GA, sedation and LA. She has a special interest in paediatric oral surgery and is the Programme Director for the Masters programmes in Oral and Maxillofacial Surgery at the University of Manchester. She is a Fellow of the Higher Education Academy and an examiner for the Overseas Registration Examination. As one of the first NIHR Academic Clinical Fellows in Dentistry, Dr Petersen was successful in gaining a Research Training Fellowship from The Wellcome Trust to fund her PhD ‘Streptococcus-induced thrombus formation.’ She then went on to become an NIHR Clinical Lecturer at UCL Eastman Dental Institute, London, where she completed her clinical training. As Editor-in-Chief of Oral Surgery, Dr Petersen is always on the lookout for original research, high quality reviews and case reports to increase the reputation of the journal.